There have been 1,020 images uploaded to this topic. (View topic image gallery). There are 6974 posts in this topic. You are on page 136 of 140. Anyone else think Han's "I think were in trouble" call out is too loud / distorted? Yeah, I have always thought that also. Thinking of picking up a pro. 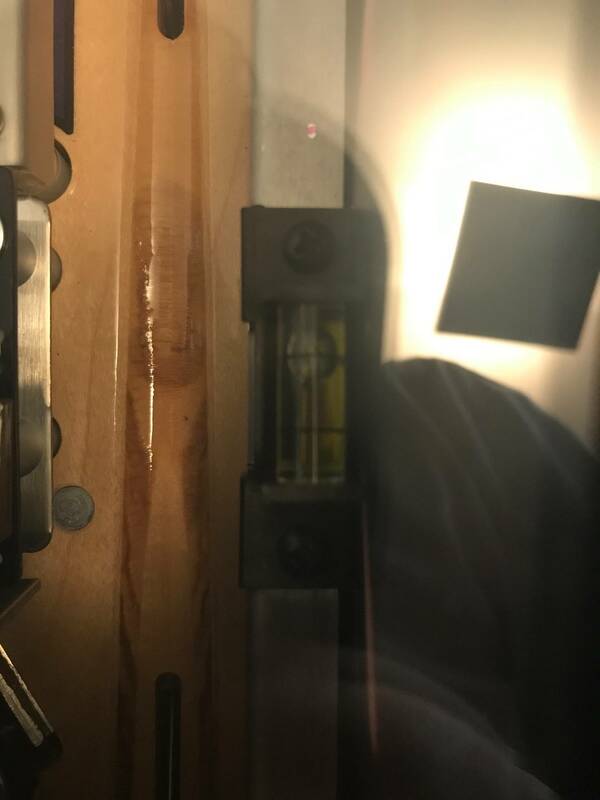 Any issues with cabniet separation ? Mine was fine out of the box and has been moved once since I got it. Still fine. No issues so far. I've been meaning to install the upgraded leg plates to be extra sure but then I'd have to stop playing! Do you have 1.05 installed? I think this was an issue with earlier code. This is a simple rj45 cable ? I had the same thing occur to my machine a few weeks in. I replaced the cable with a same length generic off the shelf RJ45 cable and has been fine since. 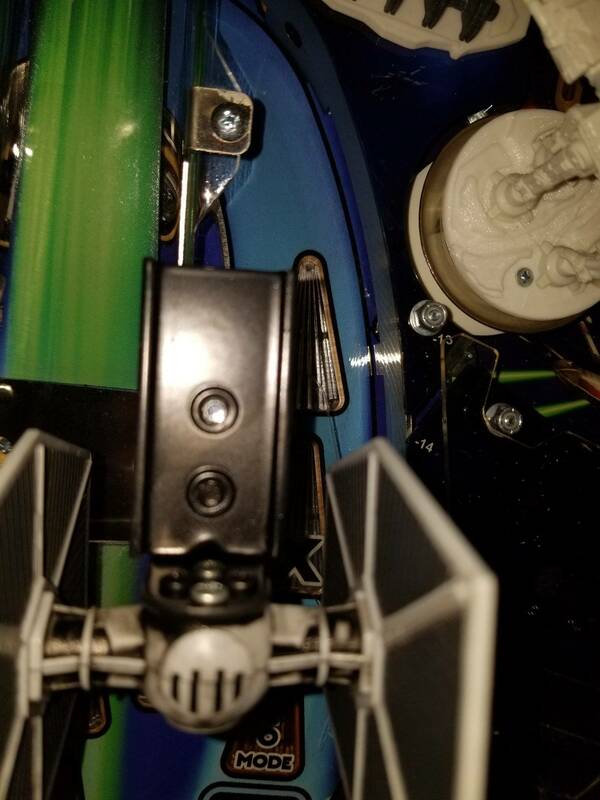 I also added extra cable ties around that area (TIE Fighter, Inner loop up-post) to make sure the problem didn't happen again. Agreed! There’s a few more sound quality issues with some of the movie call outs too. But this one with Han is very apparent. Code polish code polish code polish. Can Dwight do it? 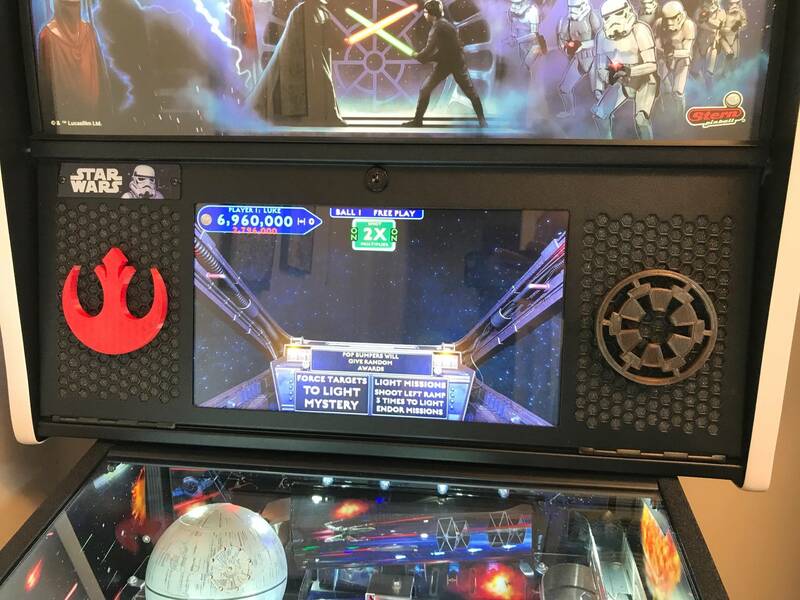 There is also some distortion in the background music used in the mission 'Death Star 1' at about 9 and 18 seconds into the BGM, even when played on a PC (code 1.05), so it's not a physical issue with the pinball speakers. Send this to Stern. 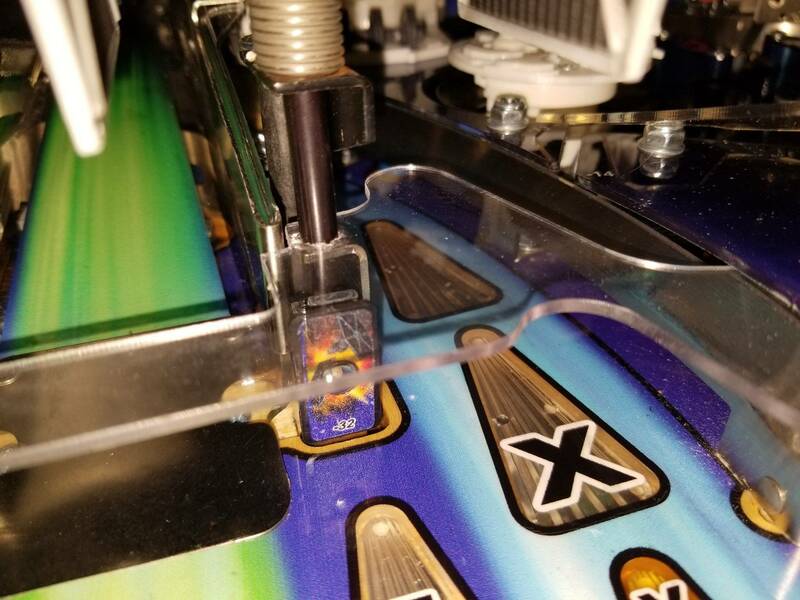 software@sternpinball.com Jerry Thompson (sound guy) could fix this in like 5 minutes. Sounds like a couple of the audio files are a little hot. The big question is how long until the next update so we can hear it. I sent them both just now. Thanks for the link. Help! 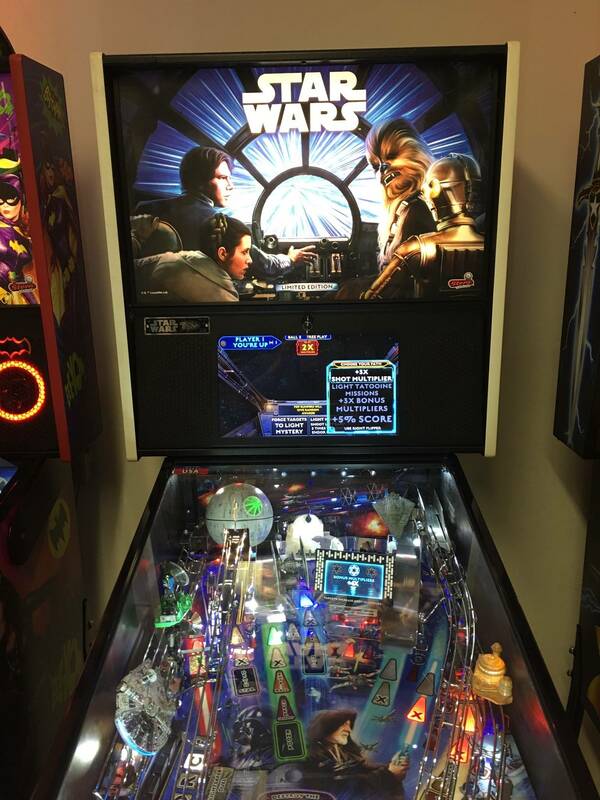 My new pinball machine is acting funny and I haven't got a clue what it could be. The right slingshot will occasionally activate multiple times when being hit (and sometimes spontaneously even when it's not hit). There is also a buzzing/whirring sound in the cabinet that wasn't there before. I have 2 videos that show these problems off. Hopefully someone will know what's going on so I can get back to saving the galaxy. I'm hoping it's not a big repair and something simple but this is my first machine so I don't have a clue. EDIT: The buzzing sound MAY be coming from the right slingshot or maybe even the auto plunger. It's hard to tell. Rapid firing slingshot usually means one of the switches is adjusted a bit too close together. Sometimes a new rubber can also help. Buzzing sounds like a speaker to me. Does anything happen if you turn down the volume? The buzzing continues with the sound off. It almost sounds like an electric current. When I go into the menu, the buzzing stops after a few seconds. Ok, I’ve located the buzzing sound. It’s coming from the light escape mechanism when it’s open. As for the buzzing. I don’t have a PREM/LE but i remember reading issues with the escape mech - something about it being too tight or not set right? Memory is fuzzy but try searching escape in this thread maybe? Thanks for your help. The light escape gate assembly looked good so I focused on the coil. I unscrewed the coil assembly, took a look at it, fired it once in my hand and screwed it back on. Now the noise has mostly disappeared and can not be heard with the cabinet closed up and the game sound on. I wonder if the buzzing is normal when the escape is lit? Anyways, the problem seems to have resolved. Now I just need to make those adjustments on the slingshot and I’ll be good to go. Extra art blades for sale. PM me if interested. $65 for 2, shipped. 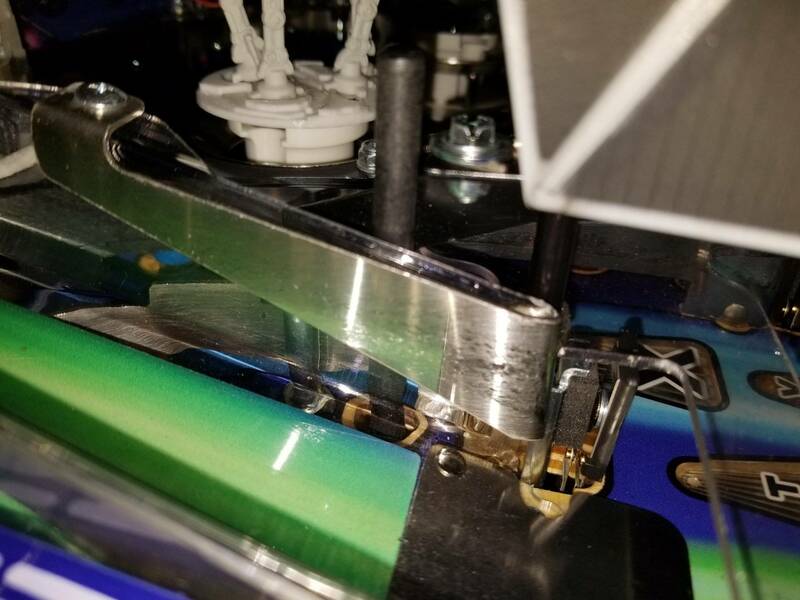 EDIT: The Han Solo and Princess Leia blades are sold. The middle 2 are left. Help! 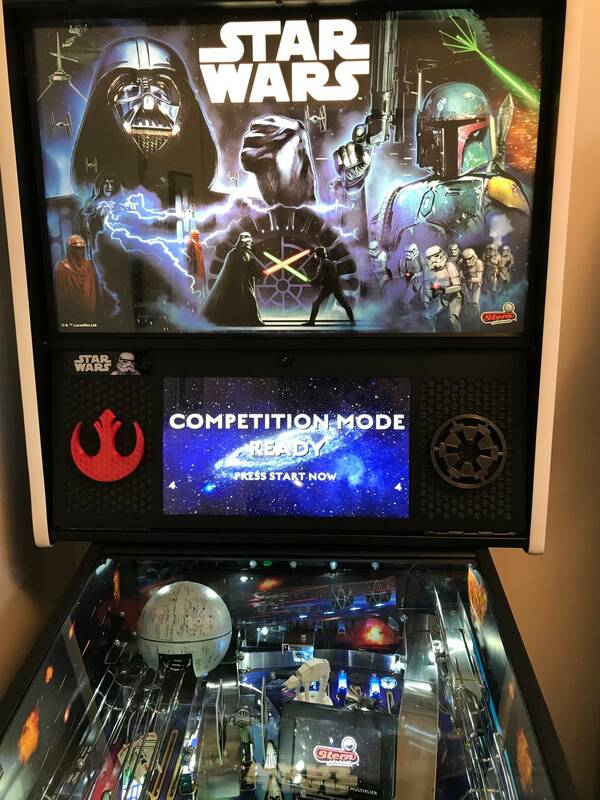 My new pinball machine is acting funny and I haven't got a clue what it could be. The right slingshot will occasionally activate multiple times when being hit (and sometimes spontaneously even when it's not hit). Angle Cube is the only way to go! Works great with table saw blade alignment as well. Hey thanks so much for this info. I know they make cell phone apps but I wanted an actual digital level but have been unable to find one. One angle cube is on the way! Topper News next week ? Does anyone know what part # this rubber is? When I bought my pro, the owner before changed a bunch of rubber, but it was light blue and didn't match. Plus some of it was cracking and looked brittle, so I replaced them. 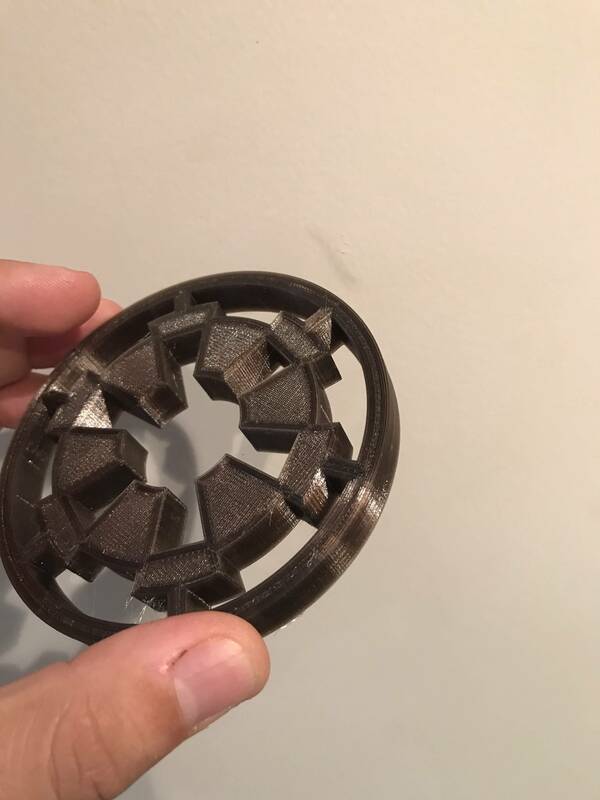 I can't seem to identify this rubber bumper shown in my picture. The Stern manual doesn't even mention it at all. 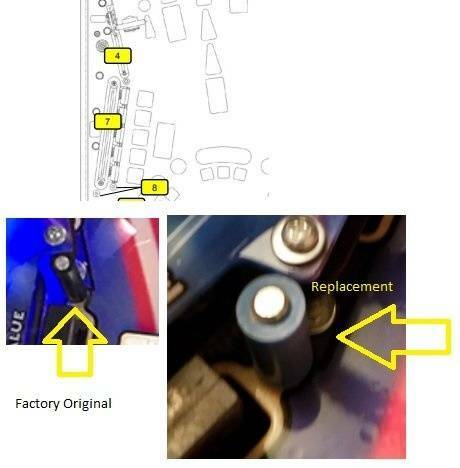 The #4 that is close to the location is the rubber under the plastic (part # 545-5348-06). Don't feel stupid. We all started somewhere. I joined the club to today with an LE. Looking forward to the game. Loved it when I play it on location. So fast and fun. Is there a good place to learn the rules as I wait for my game. I know this is a deep game. You can also get the colored "super band" post sleeves but be warned, they are like superball material and will result in a much faster rebound than the black rubber style. 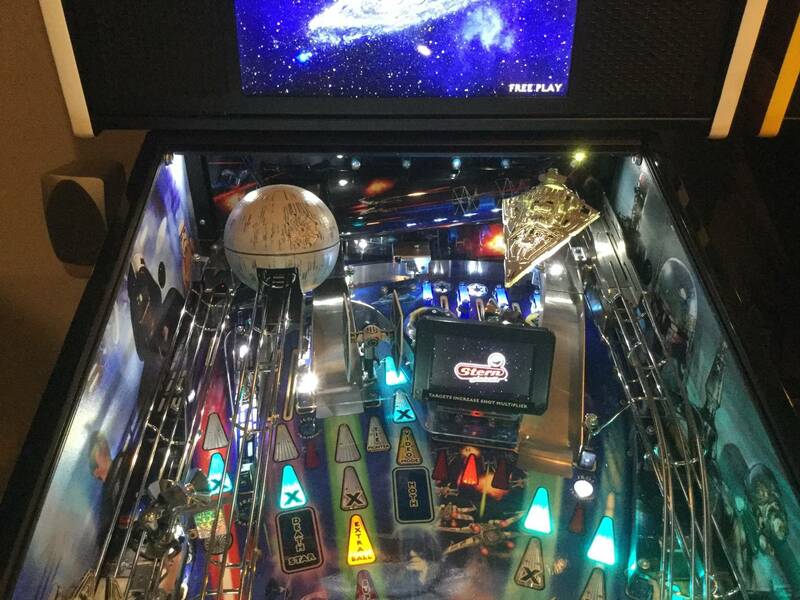 A pinsider asked for close ups of my Star Destroyer mod from lighted pinball mods. So I thought I would post them here. This is the only Star Wars (Premium/LE) ruleset I've found but it's really good. 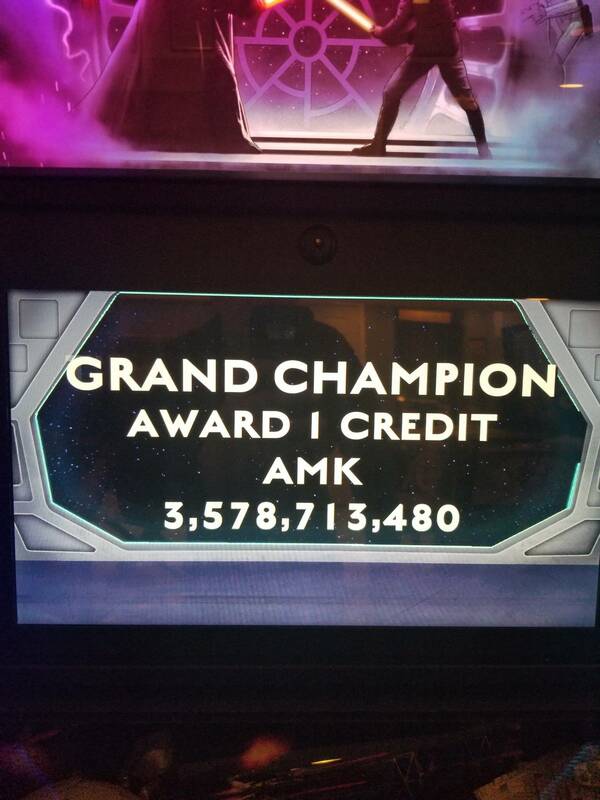 I'm also a new Star Wars (Premium/LE) owner and it helped me a lot. It's deep but once you start playing it all starts making sense. After a week of playing I'm comfortable teaching it to friends. 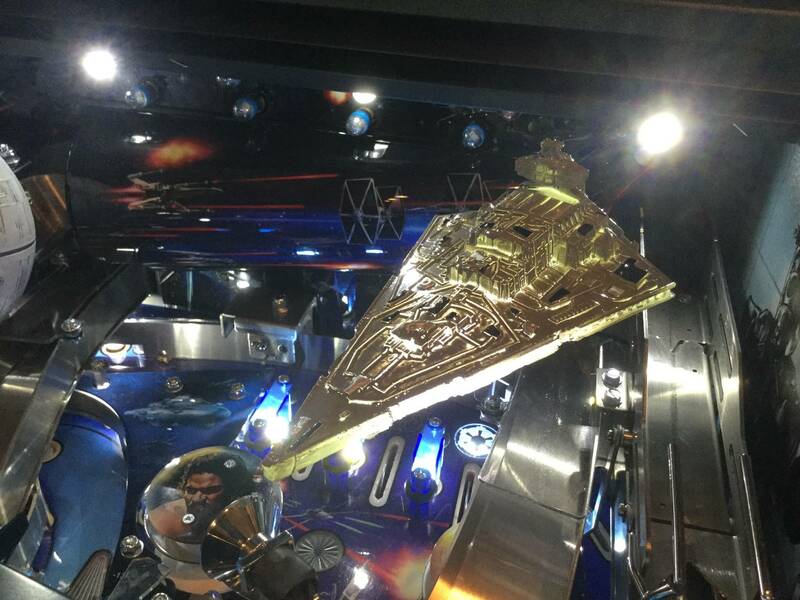 Btw- hitting the hyperspace never gets old! Just joined with a premium! Have a setting question. Is there a way to have the top button flash during attract or when its not being played like deadpool or munsters? 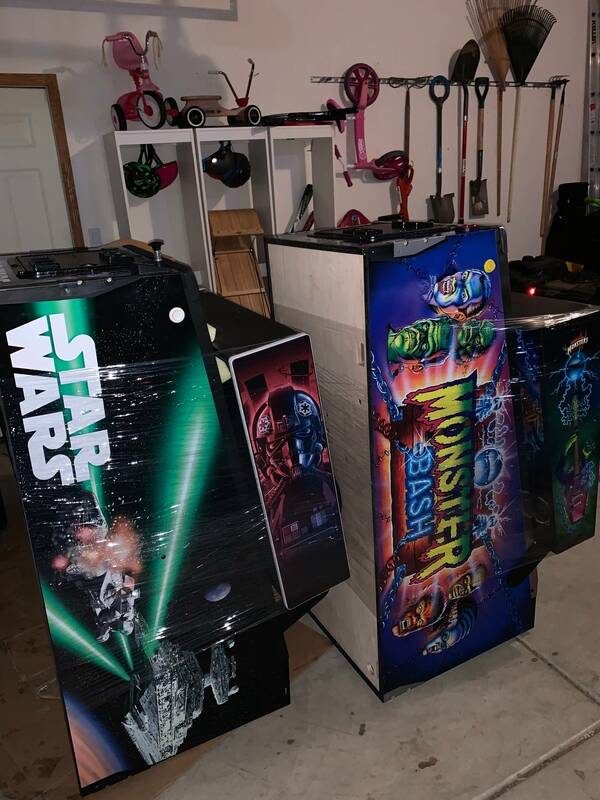 Finally joined the Star Wars club two days ago!!! All I have left to do is add the PinWorlds missing world mods to this Premium edition beauty. 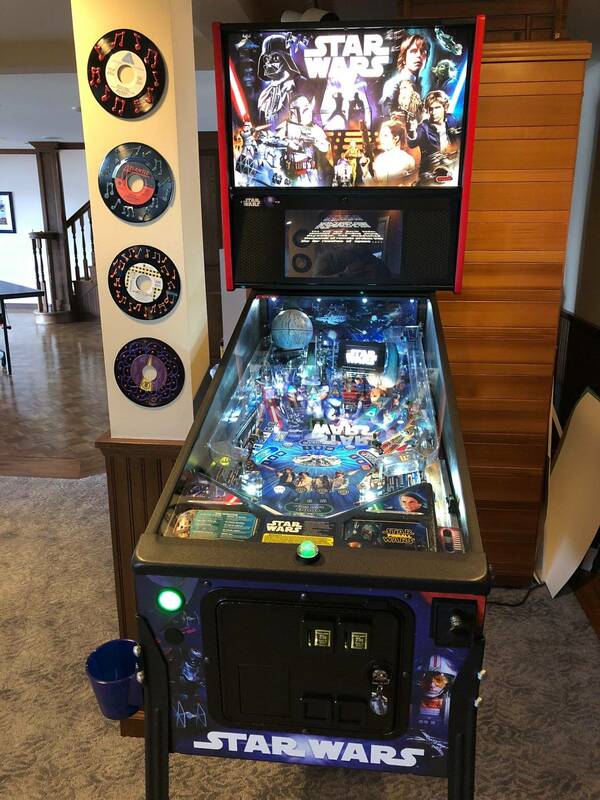 This is another grail pinball for me (along with Metallica as you see in the photo). Sorry, photo taken with iphone 6 plus, night time, and with glass on. Is there a chance in the future Dwight might plug another code drop? I am trying to read through the ruleset now.... is there an ultimate Wizard Mode after completing all characters??? Perhaps that would be a nice to have for a sense of accomplishment. Congrats! 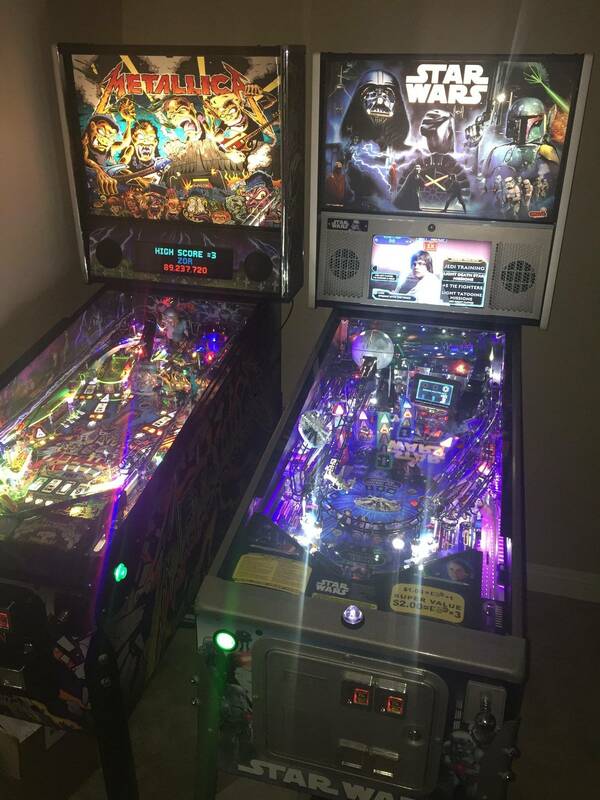 Two great pins. As for code; it could definitely use some polish, but given Dwights track record (GB & GOT), I wouldn’t count on another update. At least nothing anytime soon. 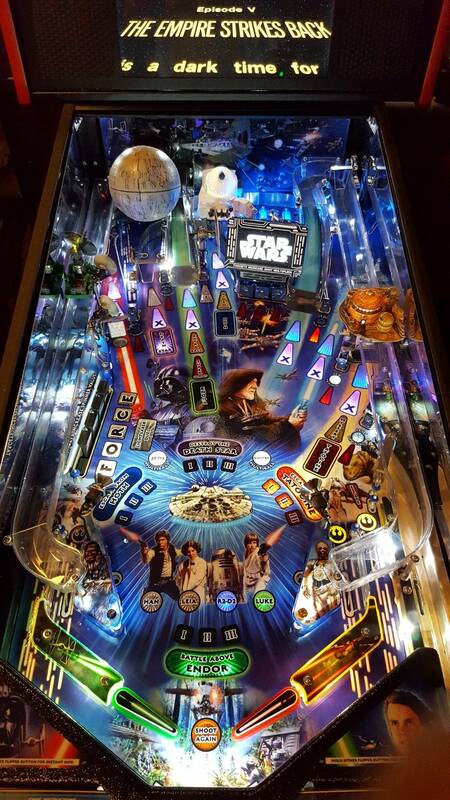 The pinworlds mods are sweet! I put them on my pro, they are just what it needed. 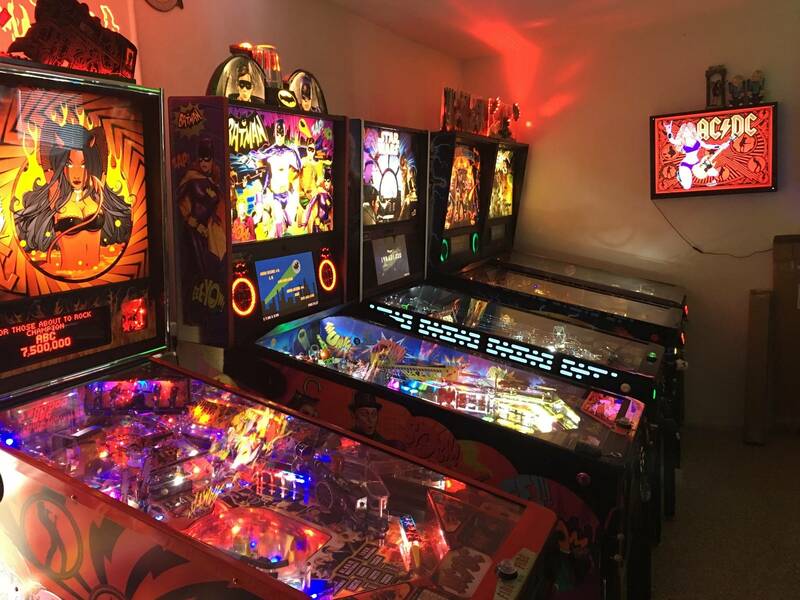 We will discuss the various pinball and arcade machines produced over the years. 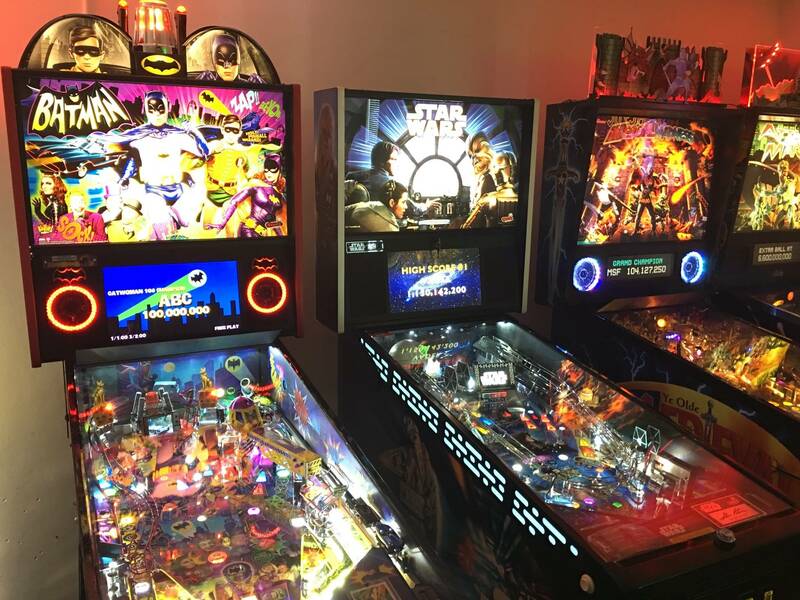 Talk about the game play and discuss how to collect and maintain them. I just ordered the sand world for my Premium. I look forward to seeing it. I would really like the forest world too if they get made. I have a tie fighter over the pop bumper area and not a huge fan of the ice world any way. Ice world is my favorite...looks awesome and covers the ugly gate. That said, all look good. Can’t imagine my pin without them. That said, all look good. They do look good. I dont have the sand or forest installed, i feel that theres too many toys on mine and they are starting to block the views. Ill probably end up selling them, but they look so good im not sure id want to part with them! I have a new set that I just bought with the last run of the mod. 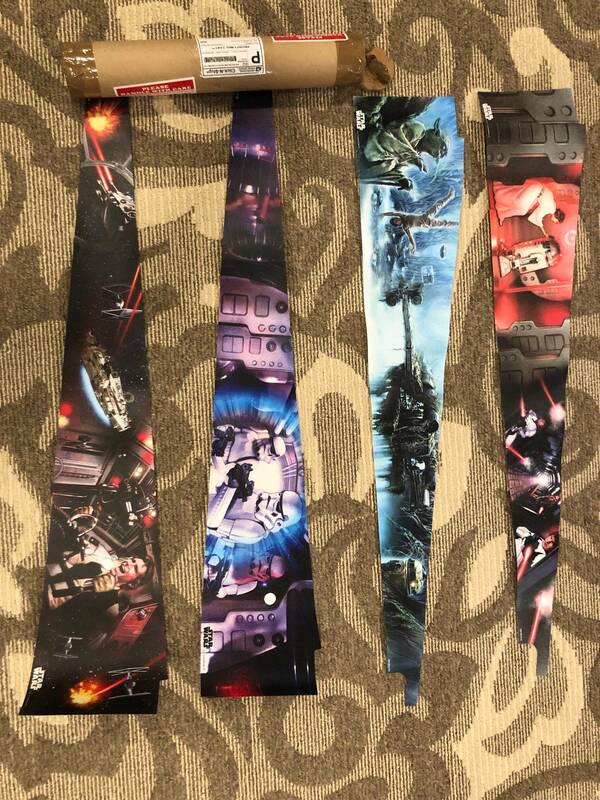 I bought them because they look so good on the game and didnt want to miss out when I got my SWLE. Turns out the game I bought already has them installed. I am just waiting for my game to arrive to make sure everything is good and I will sell my new unused set for around a $40 discount from what I paid. It has the Ice world, Sand, Forest and complete AT pop bumper. I am only going to sell as a set. They would fit a Premium/LE. 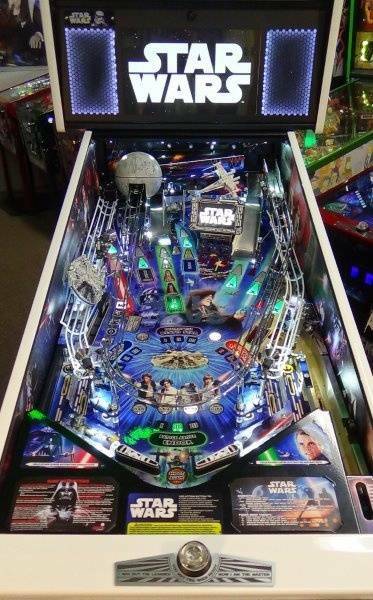 When you hit the hyperspace hurryup by shooting the left orbit and the ball whips around to the right flipper and then you immediately shoot the DS, does it get rejected/fall back out? I can’t tell if the speed of the ball is launching the ball too quickly up the ramp and it’s hitting the bottom of the habitrail or if the accelerators haven’t fully engaged and it’s falling back out instead of being grabbed and sent forward.. 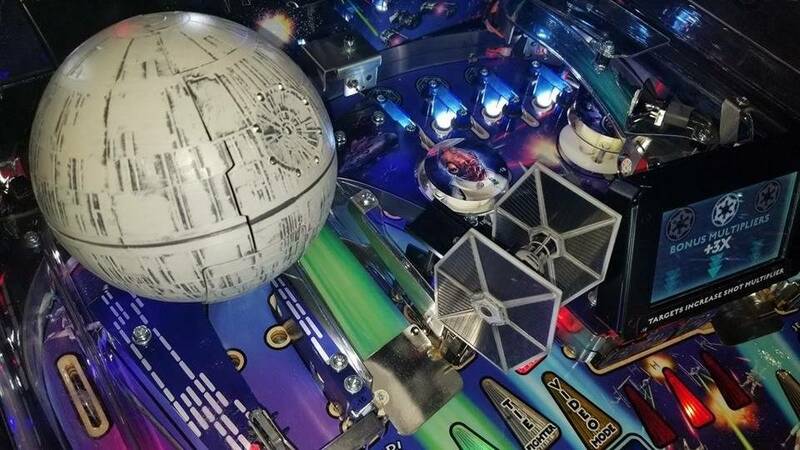 The reason why I think it may be a mechanical timing thing vs interference with the habitrail is because if the hurryup times out on my LCD, I still have a second or 2 to hit the Death Star for a hyperspace hurryup and it will still give it to me. Man I still love this game even with these quirks. Wow! You’re way better than me. I’ve never been able to do this. Ball is moving too fast for me...and I would guess the speed is the problem, but I don’t think it would be the accelerators not kicking in fast enough...they are almost instant. 80% of my successful DS shots come from backhanding it. Wow! You’re way better than me. I’ve never been able to do this. Ball is moving too fast for me...and I would guess the speed is the problem, but I don’t think it would be the accelerators not kicking in fast enough...they are almost instant. I can’t do it every time but when it gets rejected it’s disapointing because this game is all about flow. When you hit shots back-to-back-back it’s exhilarating. I just tested the accelerator by taking off the glass and running the ball through with my hand. It’s definitely the speed of the ball leaping off the ramp into the bottom of the habittrail. I adjusted it a smidge higher to see if that helps. EDIT: Ha! That was it! I just hit the Death Star off an orbit shot and it went right into hyperspace. Seems my habittrail just needed a minor adjustment. I think the ball smacks into the habit-trail if it's set to low and rejects it. If it's set to high then it won't make it's way into the accelerator, or it'll go to slow and fall off near the flippers. It was a lot of trial and error with mine, Just received mine NIB a couple of weeks ago. Funny I have the same issue as you with that loud buzzing noise, came out of no-where. still buzzing to some degree, I got it to quiet down a bit... but it's still there to some degree. Have a feeling it's going to come back with vengeance. 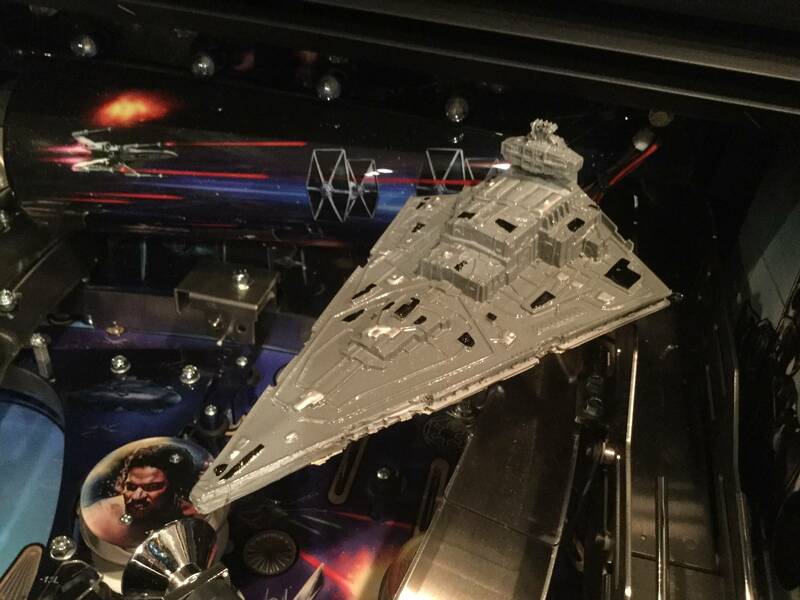 Can someone post a pic of their tie fighter assembly? Removed it to install airball plastic and can’t remember where each screw goes, don’t see it depicted in manual either. Hope this helps. Just a hint "pictures" if you think you have enough take more. Just got a Premium today and since I knew I was getting it I actually have read through most of this 136 page thread...or at least skimmed it. Where are the key posts?! I guess I should've copy/pasted good information to Windows Notepad. 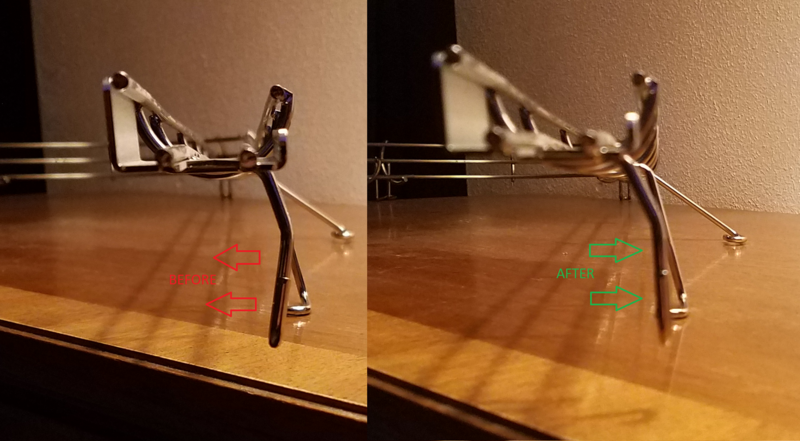 I recall reading about key adjustments to make to prevent ball releases from immediately draining between the flippers, but I have no idea which page it was. Seems like the mystery hold tends to release it into the drain as does the hold from under the Death Star. I hate bringing up a common question by club newbies, but that seems to happen a lot with games that have a lot of posts in their club thread. No sticky/key posts so the same questions. I'll re-read the thread for now. Game-play wise, I really enjoy it. As others have said it scratches that Game of Thrones itch. For me, the combos also shoot smooth like Demolition Man and I enjoyed that game too. 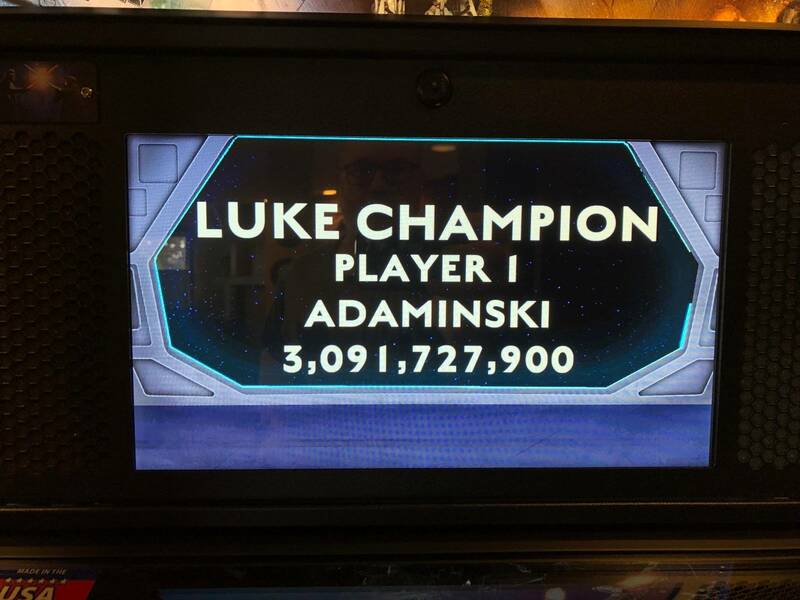 My best score so far today is 472 mil as Luke. I can play far more consecutive games than I ever could stomach on Ghostbusters and I enjoyed that game as well, but only in short bursts. 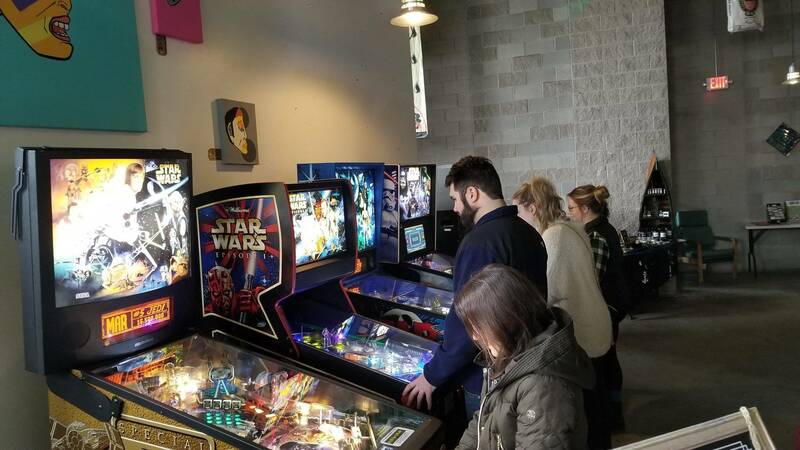 That's a much better game to go play occasionally at one of the local barcades--Star Wars is what I was looking for in a home use game. I'm excited to better learn and understand the strategies. For now, I'm just choosing modes that look fun and practicing shots. 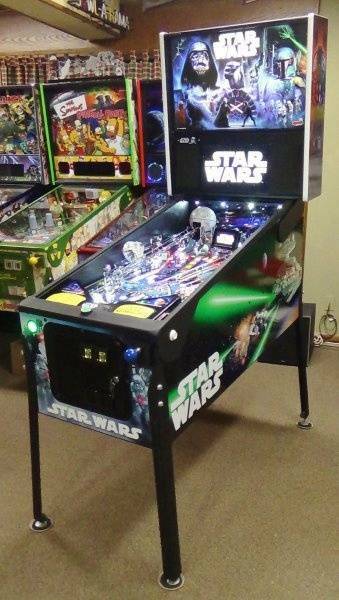 It's weird that I was able to backhand the Death Star shot on my first few games, but now I can't find the accuracy on that, plus it seems to come up short when I do find it. I'm at 6.6 and level side to side. I may drop down that extra tenth of a degree since apparently 6.5 is where it's at. Another edit: Put it at exactly 6.5 and now I can backhand the Death Star again. Leg levelers must have settled ever so slightly from playing it so much.